Discussion in 'The Chronicles' started by Havilah, Apr 10, 2019. Above ground again is still the ruined city, but now can be seen the creatures that live in them. Monsters that have taken to living in the rubble, magical creatures that have made this city their home, but now there is something new arising from below, a new type of creature that travels in packs, eats anything that moves, gathers, collects, harvests, builds... but what could such creatures be building on the surface? Another of these creatures sits atop a tower mostly intact, overlooking what portion of the city was visible from her perch, appearing like a pale faced woman with a great cloak wrapped about her body, long "hair" reaching down her back to her hips. She looked out over the landscape through the golden slit eyes of a serpent, her hardened chitinous features unable to express emotion, but looking apprehensively at the world she surveyed. She opened her mouth to taste the air... Blood, she could taste blood, the swarm was feeding again... If she immersed herself in the hivemind she could see through their eyes as they tore open the dead body of a mighty foe and took its essence, the soul that allowed the swarm to become stronger... The dead multilegged carrion crawler was being devoured in seconds, the giant centipede like creature that wandered subterranean caverns and fed on carrion... what interesting sequences would its flesh yield that she could use for the swarm, alter it, combine it, or throw it away for something better. She salivated at the thought of sorting through the multi-billions of strands of sequences that made the Carrion Crawler different from any other giant centipede... Either way she would be needed soon, so she needed to return to her lair and prepare her "lab" for the new genetic material. With this in mind she threw herself from the top of the tower, but her freefall was stopped short as instead, her cloak about like a cocoon, she was slowly lowered down on a nearly invisible strand of silken thread. Then returning to the open sewer tunnel she began the long descent below the city, hours passed, even a day passed as she traversed the well known passages and mazes of collapsed tunnels and dead ends to eventually come to the territory of the swarm. The walls were different, covered in slime and some form of hardened living algae that provided a phosphorescent illumination. The tunnels opened to a huge cavern, so large that the opposite wall was not visible through the insufferable humidity and fog that permeated the place. The walls, floor, and ceiling of this cavern was honeycombed with separate tunnels and holes where creatures of the swarm resided and slept. She climbed these walls to her own lair, a spacious hole with all the room she could ask for to conduct her experiments and perform her duties. A black pool of bile and gore was already filling the giant natural cauldron in the center of the room and creatures were still pouring in to deposit their findings, some of them with new adaptations already from their recent kills. She looked over at the experimental chrysalis that was still forming. The monster had formed quite well and was about ready to break free of the chrysalis as a new Weird of the swarm, sentient creatures were new ground for the swarm, but with recent hunts the opportunities of exploration have grown more frequent. Scabbers Can I eat it? A mind pulsed amongst the Hive mind. Young and violent, ready to take everything from the world and devour it for the collective. Memories had floated along the surface of its thoughts before falling away to the myriad of voices that trained the new hatchling, as it prepared to come into the world. Told it of its purpose, of its use to them, stoked the hunger that boiled within it. The chrysalis shook with excitement, limbs stretching here and there, testing themselves before it broke free of its restraints. Scabbers! A voice echoed in its own mind. It was suddenly quiet in it's thoughts, the symphony of voices that it had been melded with, mute and disconnected. Not out of reach, but a tangible thing that it had to connect with. That it was both free from, and yet never completely separate from. Turning introspective, it reflected on the word that rang in its ears. Scabbers, a name. An old name. From a nasally voice that cried in fear, or perhaps question? The memory melded with the present and made the emotions blend. It seemed as though something terrible, or magnificent had occurred to make that name ring with such fervor. The shell flexed as he spun, mandibles flexing as they formed the word. Spoke the name aloud and gave it a presence in the world. 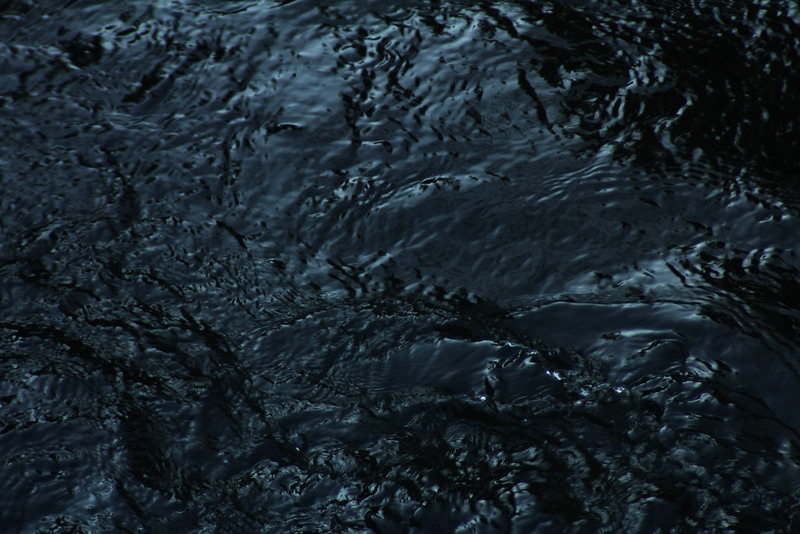 Limbs shook at the sound, an invisible force that made their new form tremble. A hissing voice resounded within the chrysalis. The word, the name it decided, was familiar and not displeasing. It rather liked the sound it made. Enjoyed the taste of strange emotions that it brought to their conscious thoughts. The form stretched once more, a tear forming with surprise beneath a digit. It felt early, and something warned it to stay hidden, to stay safe. But that driven purpose, the need to explore and find new things, the hunger it felt spurned it forward. More digits reached for the dim light outside the black wall that surrounded it. Eyes aglow with red tint as the shell split open with ease. Ichor spilled out around it, a gagging cough releasing what was inside of the small monstrosity that emerged into the swarm. Mandibles clacked together impatiently, the sound slightly off from the typical sound since the chitin and bone alike had yet to completely harden. The whole of the thing seemed, soft. As though bending it in half would allow one to see it spring back into place. It's eyes wandered over the cavernous room. It stood trembling on all fours, the tail quivering along the ground behind it as it struggled to remain still. It looked up to the thing that stood before it. It seemed familiar, perhaps another bound to the mind it had been a part of before. It struggled to connect with that greater conscious, given these new sensations only adding to the confusion of navigating its own mind. Havilah examined the creature the emerged from the chrysalis, she was extremely interested in the unique way Weird genetic material interacted with goblin genetic material. Before her was a stocky creature with a wicked looking maw, its face almost like a skull, Savage tusks, spines, claws, and mandibles completed the predatory picture, A pack monster. She sniffed, taking in the smell of the new creation for the swarm, more deadly than the creatures she made from wolves or bears or the other unintelligent predators, this was a monster that could do more than follow commands, a monster that had a glint of intelligence in those beady eyes. While the shell was still yet to harden completely on the beast she reached out one arm and one long curved claw from behind her thick "cloak", on the cranial plate of the beast she drew a mark for all to see. Her voice resounded in the creatures mind, "You are my Alpha, my First. Serve the swarm, kill, eat, grow stronger." Behind the first chrysalis seven others burst with their monsters coming forth from the ichor, all of them like the first, but they would be his pack, and he would be an alpha to them. The tunnels themselves would not provide a challenge for this new pack, but the monsters above... The world will not be ready for them. Havilah caressed the cranial plate of Scabbers, that is what the creature called itself once it clawed free from the chrysalis. This creature would be a pioneer for the swarm, and it may live to be wrapped in a chrysalis again. She left the new creatures to follow their instincts and carry out the will of the swarm as she turned to the boiling pool of black ichor and gore, the pool glowed green with the slightest encouragement from Havilah and she began to work, converting the gore from piles of meat and corpses to billions of threads of essence that she would pull from the mass one by one to analyze for any hidden potential that could be utilized for the swarm. Eyes looked over it, before a claw extended and marked it. Instinst told it to resist, to fight and bite back, but it knew in its mind well who and what was before him. It stood still, allowing itself to be marked. The voice spoke on it's mind, told it of its refined purpose. Kill, eat, to grow, and serve. Others broke free of their chrysalises, and his head turned enough to emit a chatter screech to them. They slowly formed ranks behind him as he was touched once more. She moved away, and something drove them to go above. To see what waited for them well above where they were now. To find, explore, and devour. A clicking growl made his pack move, his interest in what she was doing quickly pushed away as the last of them moved out, going to all fours as they scampered along the walls and floor snarling back and forth as they jockeyed for the lead. Scabbers followed behind them, nipping at the heels of any who started to fall behind. It took nearly double the time for them to make it to the surface, as their curiosity of the tunnels and creatures around them typically got the better of them, and they succumbed to their inquisitive nature. In this time though, their shells hardened, and they were quick to test the capabilities of them. They fought palyfully, testing each other and their senses. Scabbers, whether by natural position or just pure ability of his own, sent all of them away licking their wounds at some point in their trip. All of them had tested their leader, and his viciousness was something they could not match. They crawled into the light of day and surveyed the world before spotting a higher point to see things. They scuttled to the top, claws digging into stone and crushing it beneath them as they went. Several times they ripped chunks out and nearly hurtled toward the ground below, Scabbers catching them midway as he brought up the tail end of the group. They looked around them once they reached the top, their leader taking the highest point and scanning wide, reaching out to the minds below them to find quarry. They all hungered, all of them itching for something to bring down. To fight and spill blood and claim a prize for the swarm. The mage's purple blade came down swiftly, slicing straight through it's intended target with barely any resistance. Several leaves and branches fell away from the bush blocking their path, revealing a small clearing in the thicket. Areas of such dense foliage were rare this far west, but that only made them more valuable to the local wildlife. It seemed like the perfect place to start looking for the herd of strange, wolf-like monsters the town had described. Normally, such a small task wouldn't have drawn Andrea so far away from the rest of civilization. But this village wasn't the only one to report such a... peculiar monster sighting. Whatever had caused it, had caused several of them all over the Amol-Kalit. Andrea had seen this often enough to know what it meant - someone, or something, was using magic to corrupt the wildlife. That someone, or something, needed to die. Draedamyr and Havilah like this. At the dark-haired mage’s behest, the woman behind her opened her hand once more, looking down at the small stone. It remained still and unlit in her palm, and the redhead pinched it between her fingers, holding it up to inspect. “... just looks like a pebble with your scribbling on it, still,” Cinny informed her partner helpfully, complete with a warm smile at the young woman’s back. She carefully picked her way over a fallen tree, looking around them scrutinizingly. It just looked like normal forest, nothing standing out to her (admittedly quite normal) senses. She was no novice, however, and knew that even “completely normal” forests could erupt into magic and danger in the span of a heartbeat. She raised one hand to her chest, feeling the familiar and reassuring tingle of one of Andrea’s runes underneath her shirt, burned into her skin. It prickled under her fingertips, and she dropped her hand away, turning her attention to the dark-haired woman she followed. Cinny’s words were gently chiding, but also not surprised. This was how Andrea worked, after all -- she wasn’t unlike the creatures they were looking for. Once she got the ‘scent’ of a case, she focused it with a single-minded dedication that left little for anything else… such as eating, drinking, and resting appropriately. Cinnamon, however, was far more concerned about it. One of them had to be. Andrea Tolsuna and Havilah like this. Havilah sifted through most of the genetic material already. She took and stored the strands she found useful, the ones she found useless returned to the black ichor it was. She had made a lot of progress, processing a thousand strands a second looking for useful strands of genetic data. If need be she can now give some creatures of the swarm a paralyzing secretion that can be conducted in any fashion she chooses. Of course she kept aside material such as muscle mass, extra brain matter, and bone mass or density, as well as other useful bodily secretions from the Carrion Crawler. Several miles away from the swarm, and still farther away from The Forbidden City itself was a little village called Kito. This village was the closest settlement to The Forbidden City. The swarm had not begun to venture far from the comparative safety of The Forbidden City but some forays have been made and the hunters of this village have begun to notice. At their first sight of a group of six legged armored bears they reported it to the town elder who sent out word to the other settlements to be aware, and word traveled farther from there, bringing many adventurers and monster hunters to the area to see and kill these new monsters, some came back with interesting stories and little new information, and others didn't come back at all. The people of the village of Kito were preparing for the worst, construction for a palisade wall was already underway and any able bodied man was preparing for a fight, others prepared by packing up their homes into a wagon and leaving the village, but the general consensus of these roughneck villagers was to fight and prepare for the worst. Cinnamon Dethewright and Andrea Tolsuna like this. It saw through others eyes, the village that the others of the swarm had attacked. Saw the people fall and fight back. A delighted and malicious cackle coming from all eight of the monstrosities that clung to the great pillar. They began their climb back down, and it was slow and meticulous to avoid falling from such a great height. The whole pack hit the ground, those that touched ground first balking at moving forward until everyone moved as one. Scabbers brought up the rear once more, his screeches and chirps directing them through the fallen debris of the city. They moved on all fours, the ground their current prey as they moved out and around. A secondary tongue flicked out from below the first, tasting the air before they sped off. There was a curious taste, a new one that had not been found by others yet that it could tell. The troop moved quickly, the vibrations becoming stronger as they neared the origin of the scent. Slowly, a red hot pike pushed up out of the ground before slowly retreating after feeling the Weirds around it. The chattered for a moment before four began to burrow around the hole it had made. It wriggled for a moment, feeling them dig as it sprang forth once more and tried to stick one of them. The four back away simultaneously, and the body of the worm stuck out of the ground. The ones not digging sprang forward, claws finding hold in the chinks of its armor as they grunted, growled, and pulled. Those that had sprung backward returned and helped, with Scabbers keeping an eye on the glowing hot nose of the worm. It struggled, and fought as best it could, but it was not enough as a pair of them laid across the top of the beast and linked clawed hands. Digging their free claws on either side into the ground and holding the head pointed into the air. The rest pulled and scratched at it's tough exterior, Scabbers coming closer to them and examining the exoskeleton briefly. Much like their own, he found a weakspot and stabbed a full set of claws inward. The writhing picked up for a moment, the pair holding the head screeching in protest. A growl kept them holding on as more claws found their way between the plates, the writhing slowly weakening until it did nothing more than twitch. The pike began to cool, and the pair remained in place until the nose sagged beneath them, completely cold and lifeless. They all began to work on peeling back the plates, going for the soft tissue beneath all of the armor. They scratched and scraped, tore open flesh until they got to what looked like the brain. He tapped into the hive mind, gleaning what he needed and nodded to the soft tissue. One unhinged its jaw and took almost half of its brain. A second followed suit and both ran back towards the entrance they had come from. Those that remained began to feast, peeling back plates slowly as they feasted. Cinnamon Dethewright, Andrea Tolsuna and Havilah like this. It was a small pack of wolf like creatures that had beset the giant. Oh happy day this was going to be good odds. He smiled at the onslaught, let the heavy weight of the anchor fall to the ground with a thump as he got used to the weight. Then he rocked it back and forth until it started to swing above his head until it was performing full vertical orbits, which he used to perform a figure eight maneuver, with every swing of his anchor it speed increased until the rope, and chain passing through the air was whistling. He needed the speed, the more speed that the one hundred five pound anchor could build up, the greater the magic he was about to produce. Arcing the anchor one last time, Jair grunted hooked the rope over his elbow, performing a storm from above slam into the ground, at the same exact time, the rune on his left arm glowed brightly as it activated, and The Giants own eldritch energy was released through the rune, and into the attack. The result was significant, the earth began to roll like an ocean wave, and expanded out, growing in size the swell growing to nearly four feet, and moving fast. Saplings were easily uprooted, trees fell, and the wolf like creatures were either buried in the earth, or flung into the air. Those that were buried would either stay trapped to be slayed, or suffocate on their own, and the once that got tossed would be too stunned to do much else for a little. That was okay, the giant felt he may have over done things, and felt staggered a bit too, like he just missed with a wild hay maker punch. As the euphoria passed over him, Jair began to laugh heartedly. What ever these creatures were, they would have to grow in size to tussle with him. He stomped towards the wolf like creatures, and dispatched them before looking about for signs of where they came from. How ever he was not a ranger, and his tracking of small things was horrible even in snow. So instead he discovered a pair of mages, and in a happy wave he said in a not inside voice "Hi there!" as he stomped towards them. Scabbers, Cinnamon Dethewright, Andrea Tolsuna and 1 other person like this. Andrea gave a small sigh at Cinny's suggestion. But even in the mage's exasperation, her lips still tugged into the smallest of smiles. Cinny was such a typical chef, always thinking of the next meal. Andrea half expected to turn around find piping hot pastries waiting for her. Roots that were gnarled and twisted, the ground beneath them suffering from a type of blight she'd never seen before. The roots of the tree seemed to be... faintly oozing, a substance that trees had no business oozing. Whatever it was thankfully had not spread very far, yet... but it brought a furrow to her brow. Before she could show it to Cinny, however, a loud *crack! * came from the thicket beyond. The very ground shook beneath them... and only a moment later, Andrea caught sight of a wall of earth rolling toward them. "Get behind me! NOW!" She called out to Cinny, reaching to take the woman's hand to pull her close. Her other hand was already drawing her dagger from it's sheath. With a flick of her wrist, she spelled out a quick rune into the air just ahead of her. The lines of the rune glowed a bright white for a moment, before turning into a shield around them, just in time to spare them from the wave of destruction and upheaval. It was several moments before the ground stopped shaking and the trees stopped falling. By the time Andrea felt safe enough to drop the protection rune, she found herself looking up at an enormous giant, with his equally enormous weapon. A giant who was... greeting them. Cheerfully. Andrea looked less than impressed. She stood up from her crouched position and replied in an almost scolding tone, "You almost got us killed." She stepped forward, only just noticing the monstrosities that were all dead, many of which were buried. "...AND you destroyed all of the evidence. Amazing. Simply amazing." She huffed in frustration. Jair, Havilah, Scabbers and 1 other person like this. The brunette carefully picked her way over a pair of tangled roots that had raised out of the dirt, patting her pockets as she went through. Hm, they’d already eaten the snacks that Cinny had packed, and she didn’t have much in the way of recently-baked goods since they’d been travelling hard for a week to get here. They hadn’t had much more than a stone warmed over a fire to cook on -- not exactly conducive for the type of snacks that Cinny favored having on her at all times. “Don’t sigh at me, young woman, you need --” Cinny began in a tone somewhere between ‘exasperated’ and ‘mothering’, when the crack! suddenly rent the air, and Andrea was pulling her behind her. Cinny braced her hands on Andrea’s shoulders, ready to throw the mage behind her and do what she needed to do to protect them, at a moment’s notice. Her hands went clammy, that familiar knot of dread winding itself into the base of her stomach. What will I do. What will I become. What will it cost. The mantra was as familiar as it was unwelcome, but the brunette didn’t voice any of it. She just readied herself, but Andrea’s wall held… And when it dropped, Cinny found herself peering up at a tall being. A giant, she thought. She’d never met a giant before… Whether or not Andrea had, however, the mage was already scolding their new acquaintance, and Cinny just shook her head, a small smile on her face. Quickly, she stepped forward, putting a hand on Andrea’s shoulder to interrupt further scolding, smiling brightly. Her hand had drifted lower, taking Andrea’s and placing the small stone she’d been holding in it, even as she addressed the tall being in front of her. The stone was glowing now, brightly… Cinny didn’t need Andrea to tell her that with most of the creatures dead, that insinuated that not only was the corruption not cleansed by the creature’s deaths, but that there was more. Potentially much more. Jair, Andrea Tolsuna, Havilah and 1 other person like this. Draedamyr was an urban elf. He didn't love the forests and he certainly didn't appreciate the deserts of Amol-kalit. The woodland city he had been born in had been lost to time. The two guides he had hired to pick a find a route along the green land beside the rivers had decided they had been hired more to hear his complaining than to offer their advice. There was reputable word that a summoner was harassing settlements in the region. Directing enough demons or conurbations to attack and entire town would exact a great toll and require a powerful and experienced mage. He had killed many of their kind when they had gone out of control or lost their wits to the winds of magic. Word of mouth spread from the comprehension of human peasants wasn't always worth following. If he had known what lay ahead he would have turned back long ago. Turned back and called upon Velaeri to carry him far away from this corner of the continent. There was a crash in the distance. An animal cry and a booming voice. Draedamyr wasn't trained to deal with the dangers of the region and whatever might inhabit this forest but he still had faith in his own skill. He skipped ahead of his guards, hand coming to rest lightly on the hilt of Reverie, his sword. Even at a run he barely made a sound as he moved. Magic shifted ahead of him, the small eddies that spread out from its use that he had learned to track centuries ago. Voices came from ahead, speaking a language he knew. It sounded like the common trade tongue of the humans. He came to a halt, dropping to one knee lightly near the edge of a clearing. Not a naturally clearing, he realised. The tree he took cover beneath had been felled and the ground ahead was covered in shattered trunks and forest detritus. His sharp eyes couldn't miss the giant, but it took him a moment to spot the two human-sized figures that seemed to be conversing with it. He remained very still, waiting until he had some sense of what had just transpired. Cinnamon Dethewright, Jair, Andrea Tolsuna and 2 others like this. "I may have over did it a little." The giant said slowly looking at the carnage, a little sheepishly scratching the back of his head. "As for where these creatures came from I was beset from three separate directions. But the averaged out direction would be that way..." Jair pointed in the general direction of his attackers. "And as for evidence lady..." He looked specifically toward the precocious Andrea and smiled brightly. "How bout I dig up one of the beasties?" the offer was genuine, and he figured that having a sunny disposition would really rub his fellow rune mage a little raw in exasperation. He grinned at Cinny "I am Jair. It is quite enjoyable to meet the two of you." He almost chuckled as he bowed to the two of them. Scabbers, Cinnamon Dethewright, Draedamyr and 1 other person like this. "Pleasure is all mine, I'm sure." Andrea replied. Her gaze had already followed to where Jair was pointing. It was... as good a start as any. But first thing's first, she intended to inspect one of the monsters up close. She stepped away from them, moving to one of the monsters that hadn't been completely buried. Andrea pursed her lips. She was not happy with what she was finding. She pulled out her dagger, carving off some samples from the creature to study more closely, later. Including one of those horrifying talons. As she stood up, she announced her findings, interrupting whatever conversation may or may not have started behind her. "Whoever created this, it's clear it was made for one thing... war." Scabbers, Cinnamon Dethewright and Draedamyr like this. Cinny smiled warmly at Andrea as the mage released her ire in favor of investigating… That was so very her, though, more focused on why they were there than silly things such as social niceties and the like. Still, the towering giant in front of them seemed friendly enough. It would allow them to concentrate on the issue at hand -- what these creatures were and how to stop them from spreading. As Andrea investigated, the brunette smiled up at the giant, running her hand along the braid pulled over one of her shoulders. Out beyond the narrow valley they currently inhabited, with its river cutting through and its tangle of trees and greenery sheltered from the wind, were endless sanddunes, after all. Scattered with remains and ruins, and all sorts of unfriendly creatures, it wasn’t exactly a place most people or creatures chose to roam through. Cinny and Andrea had been travelling up the river to the town in question, but it wasn’t exactly an area that she expected to find a giant just roaming about in. Andrea spoke, just then, her voice tight with the severity of her findings. Cinny frowned, then glanced down at the mage’s dagger, the hilt of which she could just see. 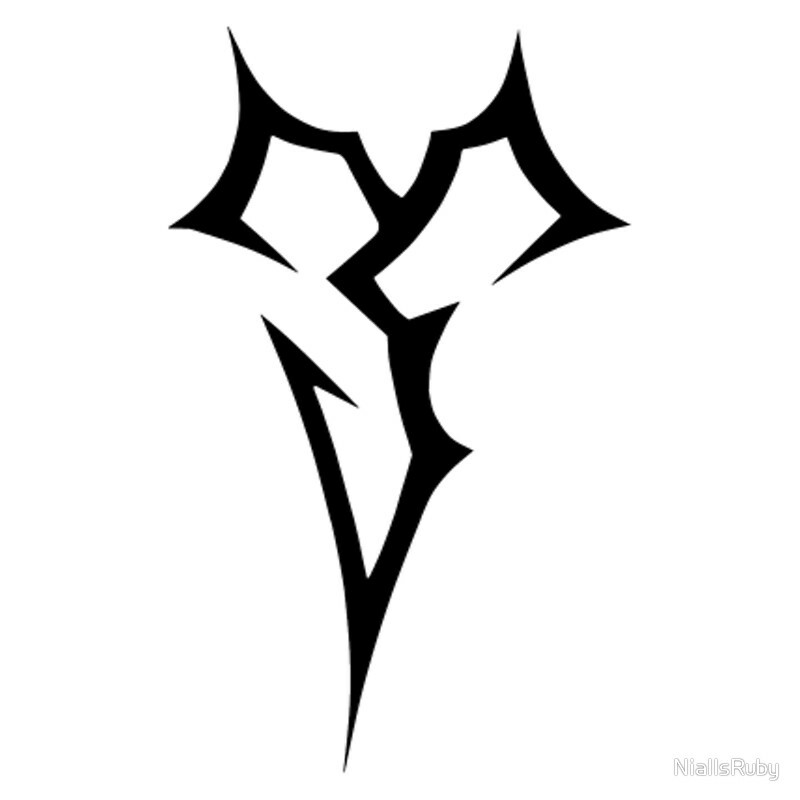 “Andrea, the proximity rune --” she pointed out. The rune at the base of the mage’s hilt, which glowed whenever another living creature was nearby, was pulsing through colors -- four colors. Four people… only three of which were standing there. Havilah and Scabbers like this. It took the others some time, but they found something else that would return the material they had collected. The pair returned and began feasting, another pair of them collecting pieces of the plating and core of the once glowing pike. Scabbers was restless, watching through other minds as another small pack of weird wolves went to investigate the disappearance of their swarm mates. His minions slept and explored at their leisure, always within eyesight of their leader as they moved about. Some testing their shells as they continued to harden, others taking to destroying the environment to test their abilities. The natural curiosity of their former selves still shining through as the wolves neared the village building a palisade. The bodies were not there, and no signs of a battle either. Something else had happened elsewhere. Scabbers burrowed into old memories and visions for that pack as they watched the people work. The sight of something large and two smaller beings piqued his curiosity and he sent the sights to the pack, both a warning, and a lure. If they fought with the trio, Scabbers could watch. Could see how they fought, would direct his troop to counter it maybe. Or could work toward some kind of counter by further devouring. The pair that had run off did not have the luck of finding another to take the genetic material as those before them. Sending a message back of their whereabouts as Scabbers and the others hunkered down. The wolves moved away from the village, a small pack of only six or so, and ran for the interlopers in anger and spite. A wicked grin with some delighted clicking as he watched them go. Jair and Havilah like this. Havilah inquired about news topside from time to time, tracking the progress of Scabbers and his pack. They had sent back genetic material from their first kill and she was able to process it, especially useful was the molten core from the thoqqua. Besides that she was working with infecting plant matter. Working with plants was different than animals, they were incapable of reason but could be 'programmed' for specific purposes, much how the Venus fly trap captures insects. She was modifying a creation she already implemented, originally it was a defensive trap that would lure prey into a deadly pool using camouflage, but now she was creating something more utilitarian. Doing away with the camouflage and modifying the roots for something new and separate from the trap plant. This creation had long roots, roots that could span hundreds of miles. 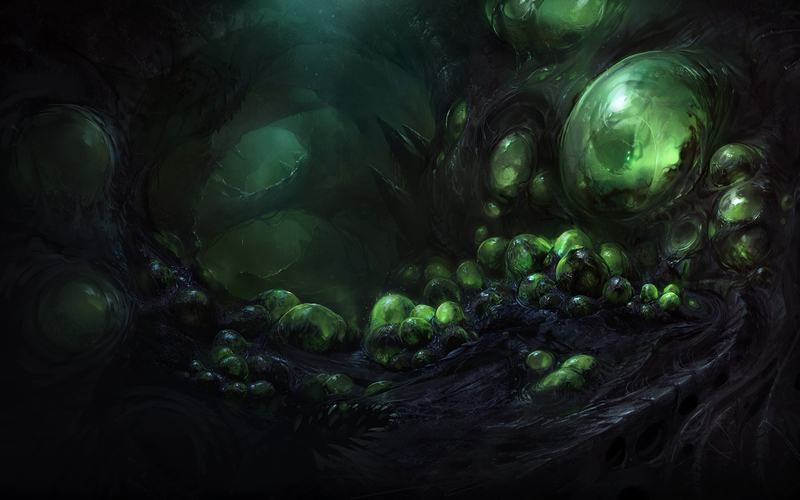 The swarm can deposit genetic material in it's pool, and the plant will deliver the codes to her own pool in her lair. This new creation didn't take long to distribute to the surface, there were some monsters that could travel the tunnels much faster than others. Soon these plants full of black ichor began sprouting up through the ruined places of The Forbidden City. She happened to be watching when the swarm hounds attacked the giant, the wolves were cunning but weak and died before they could adapt to the Giants tactics, they should have kept their distance and bled him slowly till he was weakened enough to be killed at their leasure. She conveyed her observations to the other swarm packs, giving them tactical advice. While a vast majority of the swarm could not comprehend words with the exception of Scabbers and his pack, they could understand her pictorial depiction of the ideas. They would be prepared next time they engage the giant. She also conveyed orders to Scabbers. "Investigate the death of the hound pack, observe the giant and mark his weaknesses. Another pack is going to engage him, when there is an opening, bring back a piece of him for the swarm." Draedamyr and Jair like this. The giant did not appear to be hungry. Draedamyr did not know much of their kind but he had heard they tended to prey on villages near the mountains. If there was no livestock they had few qualms about eating humans. Or elves. The woman with the dark hair moved away whilst the other two spoke amicably. He took a cautious step to get sight of where she was heading. When he saw the first of the dead creatures his eyes quickly picked out the others. The devastation, dead creatures and the bulk of the giant and his weapons painted a clear picture on what had happened. What was less clear were the intentions of those in the giant-made clearing. Summoned creatures also tended to fade from existence once they had been despatched. Draedamyr kept in the cover of trees beyond the clearing for the time being. Cinnamon Dethewright and Havilah like this. If any one wanted to be stealthy in Jair's presence, they were dreaming. He followed the pair of ladies, and why not? It might be fun, and besides they might be able to help them. He smiled as he stomped, and crunched...as quietly as a giant could "The search for spells for one, fun for another, there's plenty of ruins, and runes, lost lore, and piles of other goodies for entities such as my self who are willing to risk it." He explained, letting his meteor hammer sway by his hip, as it hung off his shoulder. He was listening to Andrea talk about how hideous the creatures he dispatched were, and he did agree. They were made for war, but he had seen an inherent flaw in the creatures design something easily missed. They were blindly aggressive in their attack. He was about to voice his ideas, when the red head piped up about there being more than three people in the clearing. Using his height advantage the giant looked for signs of good ol' number four. Andrea noted the rune on her dagger, and frowned. For a moment, she considered the possibility of an attack - but it was only one additional person. And the rune did not detect non-sentient life. It seemed highly doubtful whoever was nearby was the mage responsible... whomever created these monsters was incredibly skilled, and that sort of skill usually had the common sense to stay far away from the scene of any battle. A scout, then? Or a fellow adventurer interested in the village's reward? Without saying a word, she drew the dagger, and held it out in her hand, her palm flat so the blade was balancing upon it. With a small whisper, she activated another of her spells - a locator spell. The dagger's end spun to point at each of them in turn - Andrea, Cinny, and Jair. And then, unless their secret friend had some sort of spell or ward protecting against such locating magic... the dagger would spin to point in their direction, next. Draedamyr, Cinnamon Dethewright and Havilah like this. Cinny smiled warmly at Jair; for her homespun appearance, looking like a woman who should have been behind the bar at an inn or tavern, not out in the middle of the dunes, she seemed rather unconcerned that she was talking to a *giant*. It was pretty obvious she wasn’t a normal human, though. No normal human sported eyes the color of freshly spilled blood, or made one’s skin crawl if attempting to match that crimson gaze. Still, the woman didn’t seem concerned, even as her dark-haired companion turned her attention to the dagger in her palm. She did, however, shift the loose cloak she wore as a protection against the blowing sands, so as to get to her dagger more easily… if it came to that. Hopefully not. Cinny didn’t exactly want to deal with being… her other self today. Not yet, anyway. “There’s a village, just a bit further up the river. They’ve been beset upon by all sorts of strange creatures,” Cinny continued to speak to the giant walking near her, gesturing at one of the shattered wolf-creatures for example. “That’s where we’re headed. I’d recommend thinking seriously about heading either directly east or back down the river’s course… these sorts of things hardly stay ‘fun’ for long.” The redhead gave a tight smile. The giants voice was an avalanche of jagged rocks. Draedamyr could barely pick out what the woman with red hair was saying back. That didn't concern him when he felt the touch of a spell. Whilst he carried wards against magic, one of them were active. Draedamyr could tell the difference between magic being used and it being specifically aimed at himself. He could hear his guides approaching now. They were still some distance away but whilst they knew the land they didn't make much effort to stay silent. Fight, flight or talk. Had to assume the magic could trace him. Couldn't outrun the giant. Might have been able to evade it. Certainly couldn't fight it. There was always a tangle knot of thought moving through Draedamyr's mind. Emotion was what bound it, memory anchored the strands. This decision wasn't even the most difficult one he was trying to make right now. "Hello there!" he called, stepping out from behind a tree. His cloak fell forward to cover Reverie, his sword. Both arms were held out to his sides, palm forwards. He didn't know the customs here, but it was typically a body language that showed he had no intention of becoming a threat. Havilah was slowly becoming more organized over time, her experiments with plant material made leaps and bounds for the swarm, streamlining the process of collecting, analyzing, and storing genetic material. 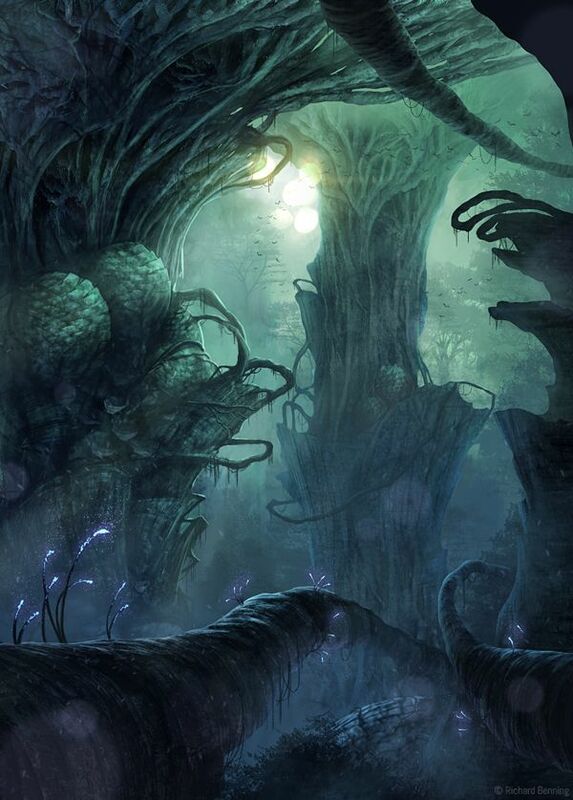 Her lair was a mess of roots from the collecting pool, and still more roots that went from the pool to the various bulbous glowing sacks which stored the different genetic codes separately over her floors, walls, and ceiling. From there she could simply select the material she wanted and apply it to the chrysalis of the creatures she worked on. Some of the more complicated codes would remain in the pool which would require her intervention, but other than that the plants she had altered worked quite well in streamlining the system. She had worked tirelessly for many days with only a few interruptions, creating new creatures for the swarm sometimes even from scratch. The Swarm isn't the only monsters in the tunnels and sewer systems of The Forbidden City, and lately more and more underground dwellers have been roaming around, making the tunnels an excellent proving ground for any swarm creature on their way to the surface, and she had already sent many new creatures into the tunnels. She did not create whole breeds of creatures herself though, often what she did was design a complete code and give it to the birthing pits for them to apply and multiply in the next generation of the swarm, the creatures growing in the chrysalis within a matter of days, or even hours depending on the level of complexity. Recently she had sent several insect based swarm monsters. Almost like plants the insects were extremely receptive to alteration and mutation for very specific purposes and these Swarm Insects were already performing very well in the tunnels making their way to the surface. She would have to make her way to the surface herself again, but first she wanted to experiment with something else, this time going for something small, very very small, yet very dangerous. In the forested area close to Kito Village the pack of thirteen Swarm Hounds were on the hunt moving quickly but in complete silence, tracking their query like true hunters. When they spotted their target they hung back and out of sight, quietly stalking and circling the giant and the three smaller creatures, waiting for the perfect opportunity to unleash their banshee howl and instill paralyzing fear, leaving them helpless for the kill, of course they didn't depend on their howl to disable all of them, when the time came they would continue to circle the group and test their vulnerabilities, once they were sure of success, they would move in to complete their mission. For now they stayed low in the sparse shrubbery and behind fallen trees well outside the giant made clearing, but the circle was slowly closing. "Hi there!" The Gian hollered as the elf appeared from the trees. He gave a two fingered peace wave, and smiled letting his hammer dangle near the ground...no double entendre intended. "Find any abominations?" he asked in the same jovial tone. He would let the smaller ones talk among them selves as he rumbled here, and there. 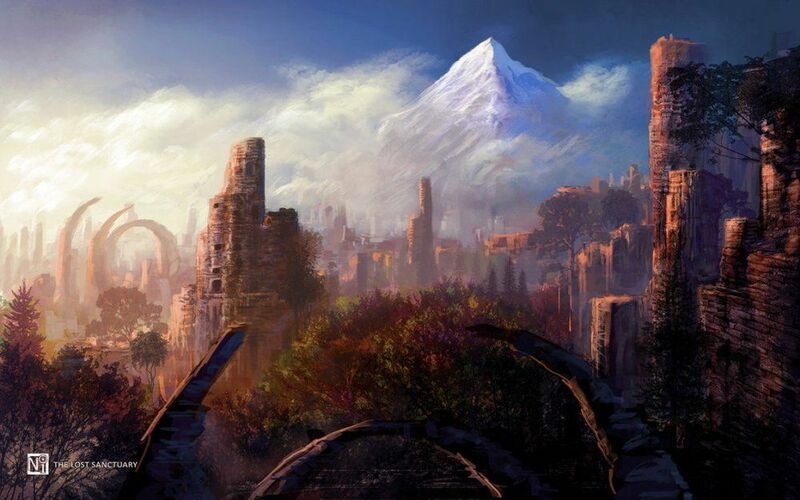 Jair began to look around here, and there as a mage he was trained to observe the surroundings. He was by no means a ranger he couldn't track a squirrel over bare rock after a rain storm but he did notice things. Little things like the ambient noise, even among a group of giants birds, and other creatures would make noise, crows would caw, sparrows would cheap, and crickets would chirp. All that the giant was hearing was the wind. But there was something...not windy about the rustling of the bushes. The giant started sucking in some of the slack of his meteor hammer, and started rocking it back and forth a little more assertively. "Um...." Jair mentioned looking about.